This ?top of the range? 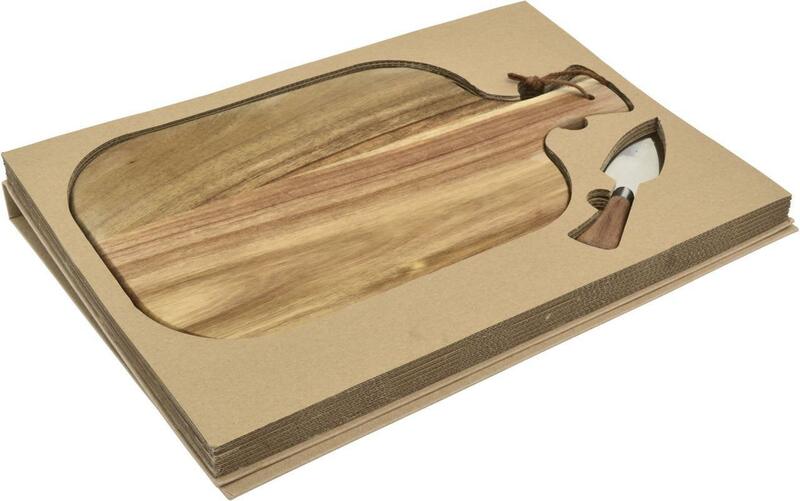 cheese set is crafted from solid Acacia wood. Featuring a handy cheese knife, leather hang strap and supplied in a stylish form fitting protective gift box, Provence makes the ideal upmarket corporate gift. Because of the unique nature of natural timber, the product and engraving colour may vary from item to item.